Nadia began her Verchovyna journey from the tender age of 5. She has been involved in countless stage performances locally, regionally and nationally spreading her love of Ukrainian dance and cultural heritage to wider Australian and Ukrainian audiences. Throughout her two decades with Verchovyna, Nadia has been fortunate to participate in many major performance milestones; “Four Seasons – a Life Dance” touring Melbourne, Geelong and Sydney, “Tapestry of Ukrainian Dance” touring Melbourne and Sydney, “Discovery” touring Melbourne ,Chiang Mai in Thailand, Ukraine, in regional Victoria and the Fraser Coast Cultural Festival at Hervey Bay, QLD. 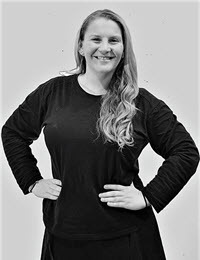 Participating in various dance workshops with the likes of “Virsky” in Ukraine, Vincent Rees and Mykola Kanevets, she has accumulated many skills and technique development throughout the years. She has a great passion and enthusiasm for Ukrainian dance and uses her extensive knowledge of Ukrainian history and regions to pass onto her dancers. Nadia also bring this wealth of knowledge to Verchovyna’s costume team. As an active member of the Ukrainian Youth Association, Verchovyna are very fortunate to have Nadia on both the Artistic and Costume teams. It is the sheer thrill of performing and feeling the music resonate on stage, that inspires Anatole to both dance and teach. Anatole began dancing with Verchovyna at the age of 4. He has participated in numerous local, interstate and overseas performances as well as dance workshops. One of Anatole’s greatest highlights is being part of Verchovyna’s overseas tour to Canada, where the group thrilled audiences at the “Folklorama” Festival in Winnipeg. The tour went on to independent concerts in Calgary, Edmonton, Hamilton and Toronto – Anatole accomplished all of this as the youngest cast member! Anatole then began performing as a commercial dancer for 8 years, including performances in Thailand and Hawaii. He loved travelling overseas and lived in Dubai for 8 years, where in addition to other commitments, was a cast member for GleeEK, a singing and dancing troupe for 5 years. 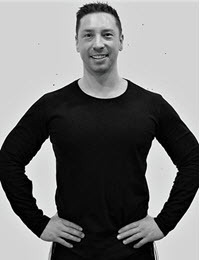 Now residing back in Australia, Verchovyna is delighted that Anatole has returned to his dancing roots, where he can share his wealth of skills and expertise in Ukrainian dance with current dancers. He is a valuable asset to the Artistic Team. Emilia has been a Verchovyna dancer since the age of 5. She has been exposed to many years of talented dance direction and participated in various Ukrainian dance workshops with international guest artists such as Vincent Rees, developing her proficiency in technique and maturation into an exuberant Ukrainian dancer. Emilia has performed at community events and festivals locally, in regional Victoria and along the eastern seaboard, including the Verchovyna performance of “Tapestry of Ukrainian Dance” touring Melbourne and Sydney. Emilia also had the opportunity to perform and tour overseas in several cities of the U.S.A. and Toronto which also toured Adelaide, Sydney and Melbourne during 2015. In 2016, Emilia played a key role in developing the concept, script and direction of the production “Vorozhka” – celebrating 50 Continuous Years of Verchovyna, as well as performing. Emilia is an active participant in the Ukrainian Youth Association in Melbourne, displaying much passion and dedication in mentoring and nurturing Ukrainian youth. This has included leadership roles at a number of summer youth camps, choreographer for the 2018 Ukrainian Debutante Ball, and as a current Verchovyna dancer, instructor and choreographer. Her enthusiasm and zest for Ukrainian dance makes her an enormous attribute in sharing and continuing this highly regarded Ukrainian cultural tradition with her students. Roman joined Verchovyna in 2017 after arriving from Perth, WA. 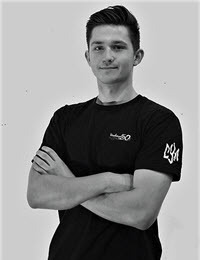 Roman’s enthusiasm and experience in Ukrainian dance commenced at an early age, where he was a member of a Perth based dance group and performed at local events. His passion has developed over many years, following in his father’s footsteps as a Ukrainian dancer, instructor, choreographer and alumni of Verchovyna. Roman’s artistic and sporting backgrounds (he was very active within Perth’s Soccer scene) have enabled him to bring a level of energy, tenacity and discipline required to excel in both instructing students and performing as a Verchovyna dancer. His positive attitude, skills and love for Ukrainian dance make him a great asset to the Artistic Team and ensemble. Mia comes from a long line of Ukrainian dancers and this rite of passage was inspired by her aunt and mother who were wearing Ukrainian dance boots before even starting school! 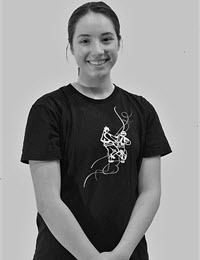 Mia’s dance journey began at the ripe age of 5 – her passion for Ukrainian dance led her to joining Verchovyna in 2008. Mia’s association with three separate Ukrainian dance groups over the years has provided great opportunities for growth and performing in front of audiences across many stages, both locally and nationally. Mia’s love of Ukrainian culture doesn’t just stop at performing on stage. She has assisted in making our beautiful headpieces and is keen to assist Verchovyna with all aspects of production over the years to come. Mia joined Verchovyna’s Artistic Team in 2018, allowing her to inspire younger dancers with her knowledge and love of Ukrainian dance, just like her past and present dance teachers have done for her. Juliana’s love, commitment and experience of Ukrainian dance spans many decades. She began this journey in 1985 and for over 30 years has held many positions of leadership within Verchovyna; dancer, choreographer, instructor, Artistic Committee member and even President of the Ukrainian Youth Association, Melbourne. At a young age her dance and performing skills were not just limited to Ukrainian dance. The 90’s saw her perform in many Rock Eisteddfods and she dabbled in jazz ballet and gymnastics in the 80’s. She was a key contributor as instructor and choreographer for 3 dance groups for Verchovyna’s major milestone productions “Four Seasons – a Life Dance” touring Melbourne, Geelong and Sydney, “Tapestry of Ukrainian Dance” touring Melbourne and Sydney, and Verchovyna’s 50 Continuous Years production “Vorozhka” in 2016, where Juliana returned to the stage for a cameo appearance. Juliana has represented Verchovyna in concerts, festivals both nationally and locally and her pride in Verchovyna then and now can be clearly felt. 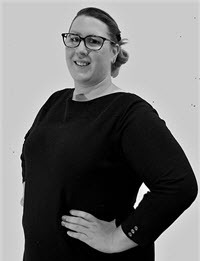 Verchovyna are very pleased and fortunate to have Juliana on the Artistic Team. Ukrainian dance has long been a significant part of Liana’s upbringing. Since the young age of 4, she has been involved in countless stage performances locally, regionally and nationally spreading her love of Ukrainian dance and cultural heritage to wider Australian – Ukrainian audiences. Participating in numerous concerts and festivals, such as “Hopak in the Park” at Sidney Myer Music Ball, has helped to develop Liana as a dancer and performer. In 2016, Liana participated in “Vorozhka” – Verchovyna’s 50 Continuous Years production and Banquet. Liana’s adoration for Ukrainian dance, cultural heritage and Ukrainian community has been steadfast. 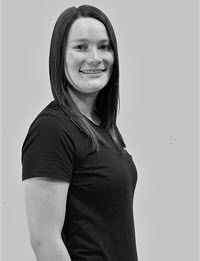 As a dance instructor and senior dance member, Liana brings to the Verchovyna Artistic Team much enthusiasm, determination and experience. Katya has been a dancer with Verchovyna since early childhood. She has performed at various festivals and community events both locally and nationally, over many years. One of her greatest dance accomplishments is performing in the lead role of ‘Sophia’ in the 2016 production “Vorozhka” for Verchovyna’s 50 Continuous Years celebration. 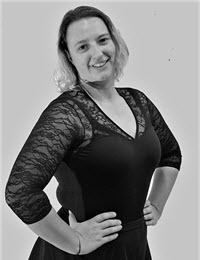 These various performances, with the guidance of talented educators over the years, has helped mould and develop Katya into the dancer, instructor and performer you see today. 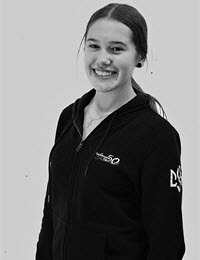 Katya is an active member of the Ukrainian Youth Association in Melbourne, having led and coordinated various youth activities, and took on the role of dance instructor with Verchovyna in 2017, while still dancing and performing with the senior group. Katya wishes to share her experience and love for Ukrainian dance with her students for years to come and further ignite their passion for our beautiful Ukrainian traditions and culture.